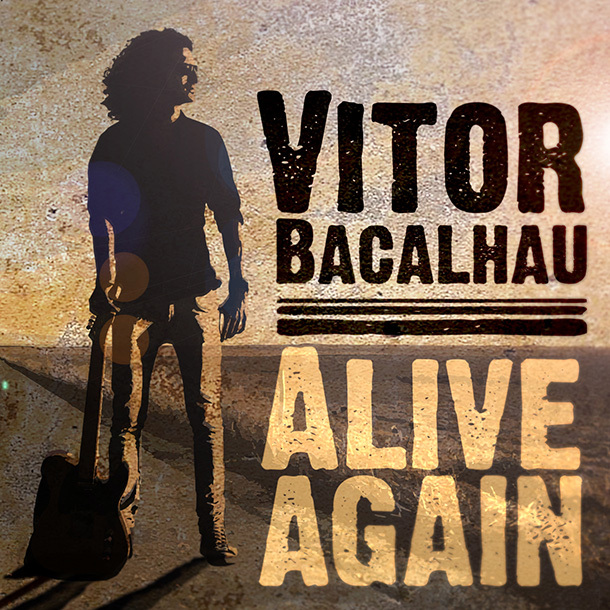 Vitor Bacalhau is a blues artist to the T. With sounds reminiscent of an early Hendrix, and a blend of Stevie Ray’s blues revival era, this new player in the mix is a great advocate for the genre. He keeps it cool, with classic blues progressions, and those heavy strings on overdrive dancing overtop. His voice is chock full of soul, with unique highs and lows. The EP, Alive Again, kicks off with heavy symbol and cowbell on “Just Another Stranger.” A heavy guitar riff gives way to a soulful verse, while a bellowing moan drives the chorus. “Paradise” holds a more upbeat rhythm, with a catchy vibe, and laced and layered licks that give it much depth. “Alive Again” closes it out. With slide guitar in hand, Vitor delivers a slow and deliberate beat. Distorted vocals give it some added spice, bolstering his tangy, tremulous range. Vitor Bacalhau is a devout blues guitarist. Certainly worth a listen for blues fans across the charts. His EP is a sign of good things to come. Lynne myself and some friends met you and the band, at Vertigo bar last week.Back home in England now. It would be nice if you could enter a comment in guestbook on my website..Cheers!… Bob the Artist take care now.